More than three months of arduous preparation and grueling training at the Dominican Republic ’s highest peak, Pico Duarte, preceded the climb up Mount Everest. 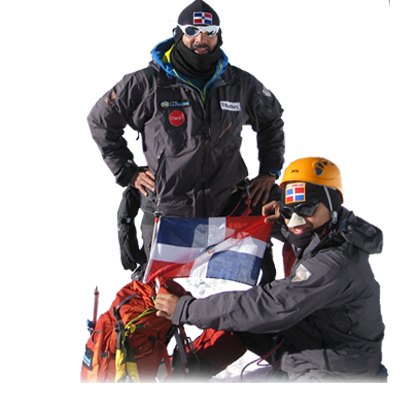 All in order to be the first team of climbers to proudly hoist the Dominican flag 8,848 meters above sea level on behalf of all their compatriots. An interactive presentation about their experience. Karim y Federico will make an interactive presentation about their experience (preparations, participation and arrival). A Panel discussion with Excelsior Group mountaineers Karim Mella, Federico Jovine who will talk about their amazing expedition to the highest point on earth.